Super-Awesome Sylvia and her friendly robots. The following excerpt is from "Sylvia’s Super-Awesome Project Book (Volume 2): Super-Simple Arduino" by "Super Awesome" Sylvia Todd. The Arduino is an awesome programmable prototyping platform. It’s a little computer that acts like a brain for robots, sensors, or other machines that connect to the real world. It’s pretty inexpensive, too! For less than the cost of a tank of gas, you can get yourself this little blue open-source brain board and start creating something incredible. With just a little bit of code (that you don’t even have to write), it can do almost any crazy thing you want. Not to mention, Arduino boards now come in all shapes and sizes (some of them are shown above) with tons more processing power, and a variety of inputs and outputs. Only the blue Arduino boards are officially called “Arduino”, offshoot boards like the RedBoard above are called Arduino-compatible. They can do everything an official blue Arduino can do, but look different and are made by someone else. For our experiments, we recommend the Arduino Uno or the Redboard, which are easy to get and simple to use. When you get an Arduino, it’s not always clear what you should do. I’ve heard of some people who get one, and then just leave it on the shelf — what a waste! With just a quick search online, you can find literally thousands of incredibly creative Arduino-based projects, like walking robots, musical instruments, or even video games. Thanks to the awesome Arduino community, most projects can be built at home with the parts listed and open-source code you simply copy-and-paste. Once your invention is working, you can change the code, add functionality, and make the machine your own. a pretty old but very good language called “C”. 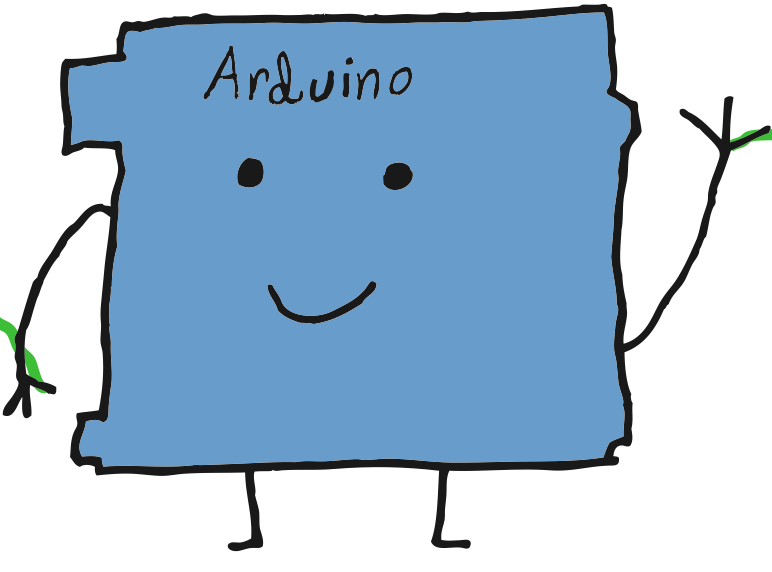 Every Arduino program is a list of instructions written in the C language that tells the Arduino to do something exactly same way, every time the program runs. It’s mostly English, with a bit of syntax to make it more standard. It can be a little hard to read at first, but just pick out stuff you know, and the rest will start making sense. 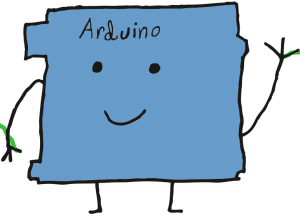 Every Arduino sketch has at least two functions: setup and loop. The setup function is triggered ONLY when the Arduino starts up. Then, the loop function runs and when it’s done, it runs again, forever! Using just these two functions, you can make the Arduino do almost anything you want. "Super Awesome" Sylvia Todd has been making and tinkering since she was 7 years old. She hosts her DIY web show "Sylvia's Super-Awesome Maker Show" with the help of her father James Todd. She has demonstrated her projects to President Obama at the White House and at Maker Faires around the country.